As I think about the definition of literacy today, the meaning certainly incorporates being digitally literate. How do we read, write, speak and listen with digital texts and tools? What does it look like to Bring Your Own Device (BYOD?) Edutopia provides a free Mobile Devices Learning Resource Guide. This details the pros and cons of mobile devices in the classroom, bridging the digital gap, knowing devices, getting started with using them in the classroom, K-12 apps and web tools. Book trailers are just like movie trailers. 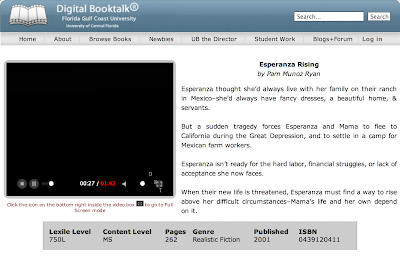 These book trailers can be found through Digital Book Talks and are a collaborative effort from Dr. Kennedy and Dr. Gunter at the University of Central Florida. On the Digital Book Talk site, you will find high quality book trailers that will whet your students appetite for a good book. Teachers and students can search for books by content, level, and interests in grades K-12. 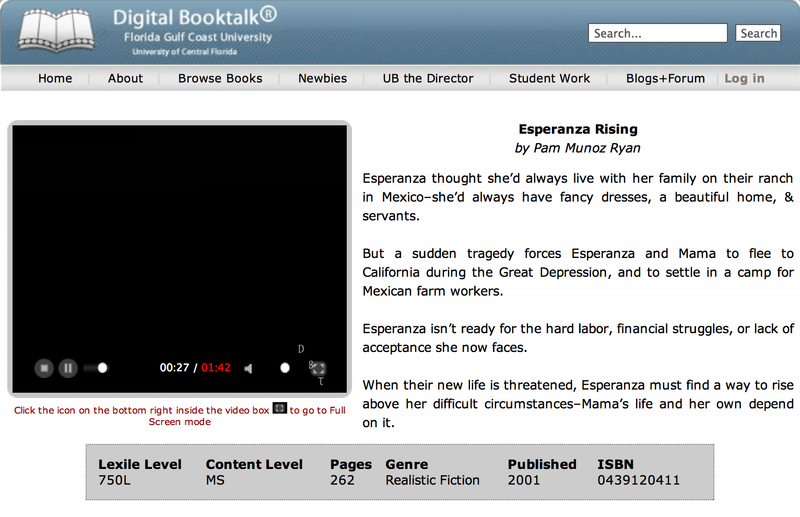 Check out the student created Digital Booktalk Book Trailer for Esperanza Rising. No doubt you've spent time reading and deconstructing the Common Core State Standards, and maybe even started aligning your assessments to them, but a big question now is what does it look like to teach the standards? AdLit offers a glimpse Inside the Common Core Classroom with professional development video modules for ELA and content area classroom teachers in grades 6-12. 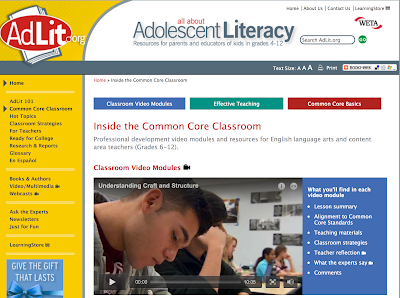 Each module has a lesson, strategies, alignment to CCSS,reflection, and expert comments.